Put on your best Victorian bib-and-tucker and hold on to your stovepipe hat as the Ghosts of Christmas Past, Present and Future whisk us on a brilliantly funny flight of theatrical fancy. Purveyors of playfulness and physical comedy, Spymonkey, are back at the Playhouse with a relaxed performance of A Christmas Carol on Tuesday 8th January at 5:30 pm. 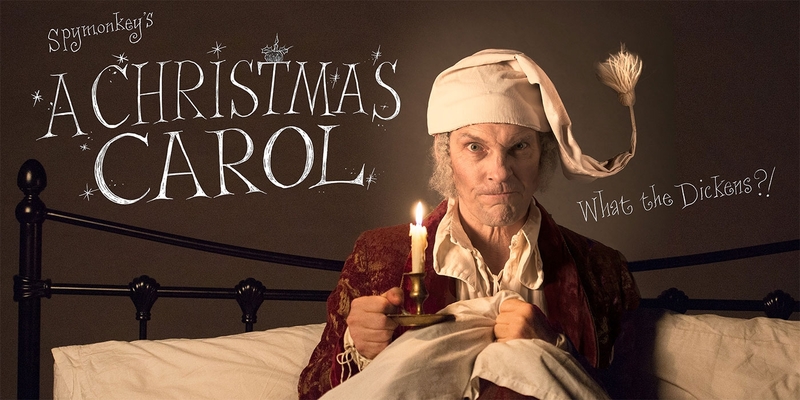 This new adaptation of A Christmas Carol is packed with thrilling, fast-paced fun and is a festive treat for all, guaranteed to be exquisitely silly, with music, merriment and plenty of heart. And with a Relaxed Performance, you can watch A Christmas Carol in a welcoming, supportive and informal setting. The Playhouse has a dementia-friendly environment with extra staff on hand to help, as well as flexible pricing and free companion/carer seats when needed. Relaxed Performances are available to book over the phone on 0151 709 4776 or in person at the Playhouse Box Office. As they would like to talk through any specific access requirements and offer the free companion/carer seats, Relaxed Performances can not yet be booked online. Email boxoffice@everymanplayhouse.com for more information.